I am sharing a fun and easy Father's Day card that you can make in minutes using the beautiful baker's twine and lace by Really Reasonable Ribbon. I created this card using a vintage Father's image. Next I added the gorgeous Debra Natural Lace to the bottom of the matted image. I then wrapped the Brown Sugar Baker's Twine around the card and tied a bow. I hope you enjoyed this fun and easy Father's card. 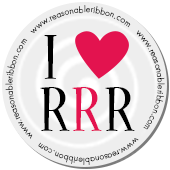 Really Reasonable Ribbon Challenge #163 Winners!